APSnow football is the best football. The snow is horrible, and useless. It ruins your ability to play golf, it makes roads mucked up, it forces you to stay home instead of going to the office. You have to shovel it. It generally turns an ugly shade of brown, or black near the roads. It has its moments, if course. It’s pretty and romantic as it falls the to ground. It changes the landscape in really nice way. And, of most importance to what we care about in this column, it makes football a lot of fun to watch. This weekend we could get some snow games, which would be fantastic. It’s always fun to be warm at home watching football players freeze their butts off as snow falls around them. It adds a wonderful dynamic to the game. There is nothing better. So, let’s hope for snow, but not any snow were we live. Last week was not my best performance. I went 1-4, but the week prior I was 4-1, so these things balance out. For the year I am 27-31-1. All the lines come from Vegas Insider. 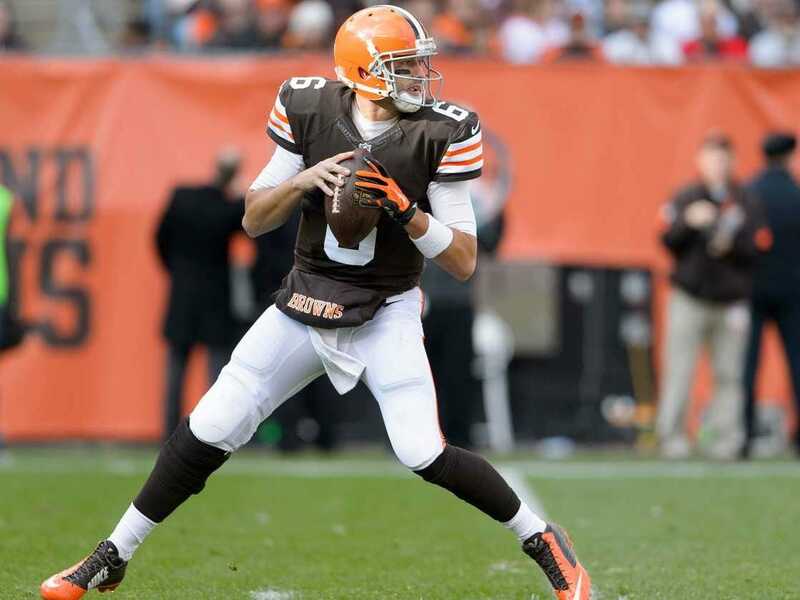 Cleveland is a 3-point favourite at home against the Houston Texans. The Brady-Backup-Bowl! Former Tom Brady back up quarterback Brian Hoyer goes against former Brady backup Ryan Mallet. If I was a talking head on one of the NFL shows I would say that Brian Hoyer just wins. The Browns are an unexpected 6-3 this year. With a new coach, and a lot of pressure, Hoyer has delivered a decent season. Truth be told, I don’t get to see many Browns games, so I can’t say if he’s spectacular. But, you don’t need to be spectacular as a QB anymore. You need to be competent. The rules are rigged to help you. What about the other Brady backup? Well, Mallet wasn’t good enough to be the starter until week 11, which is not a good sign. But he’s coming off a bye, so he’s had time to prepare. The Browns are starting to get just enough hype to make me nervous about picking them. They seem like a team that’s destined to lose. And 3-points at home is a slap in the face from Vegas. It’s basically saying they’re just as good as the crappy Houston Texas. I’m going to lay the points and cross my fingers that the Browns are for real, and they can handle business at home. 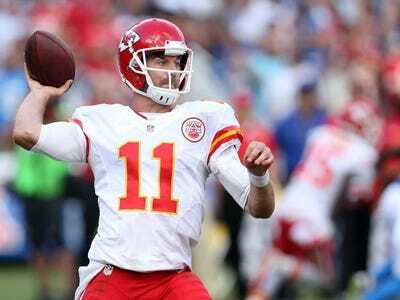 The Kansas City Chiefs are 2-point favourites at home against the Seattle Seahawks. When Andy Reid left Philadelphia, it looked like the game had passed him by. The Eagles stunk, and he wasn’t particularly impressive. After a great first year with Kansas City, I expected him to revert back to the stinky coach I saw at the end in Philly. Instead, he’s miraculously managed to keep on winning in Kansas City. Similarly, Alex Smith seemed like someone that was destined to have some some flashes of brilliance, then ultimately fail. But, he’s managed to do a good job playing within himself. Meanwhile, the Seahawks are not a good road team. They struggle away from Seattle. Last week they throttled the New York Giants, but the Giants are terrible. I don’t think they’re going to win this game. Since 2 points isn’t very many, I’m going with Kansas City. P.S. Isn’t Chiefs an offensive name? It’s not as bad as Redskins, but it’s pretty bad. The Atlanta Falcons are 1-point favourites on the road against the Carolina Panthers. I watched the Panthers-Eagles game on Monday night. The Panthers were a disaster. I’ve never seen a team that looked so bad. They just gave up. Panthers’ QB Cam Newton looks really hurt. He just stood there as the Eagles tackled him. I have no idea if the Falcons are any good. I suspect they’re not. But they shouldn’t have to be good to win this game. They just need a pulse. 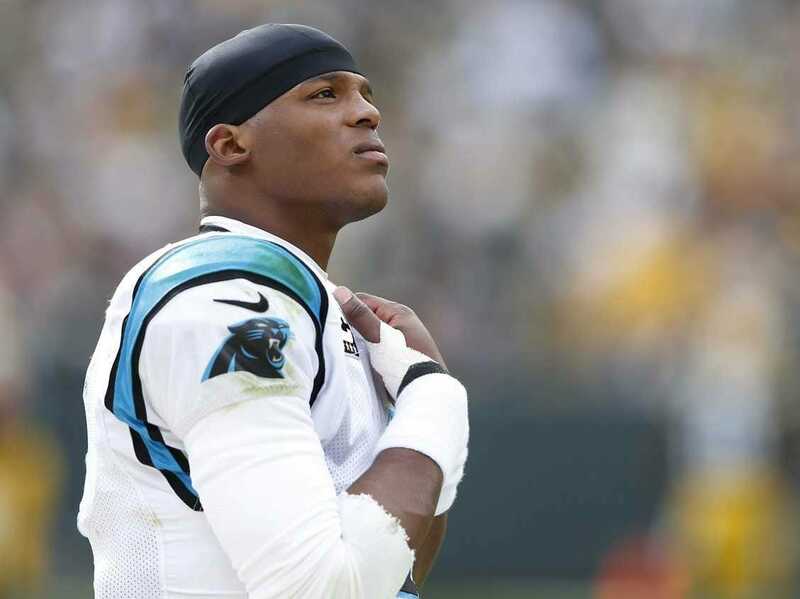 If they can get out on the Panthers and build a quick lead, then it’s all over for the Panthers who will just quit. The San Diego Chargers are 10-point favourites at home against the Oakland Raiders. 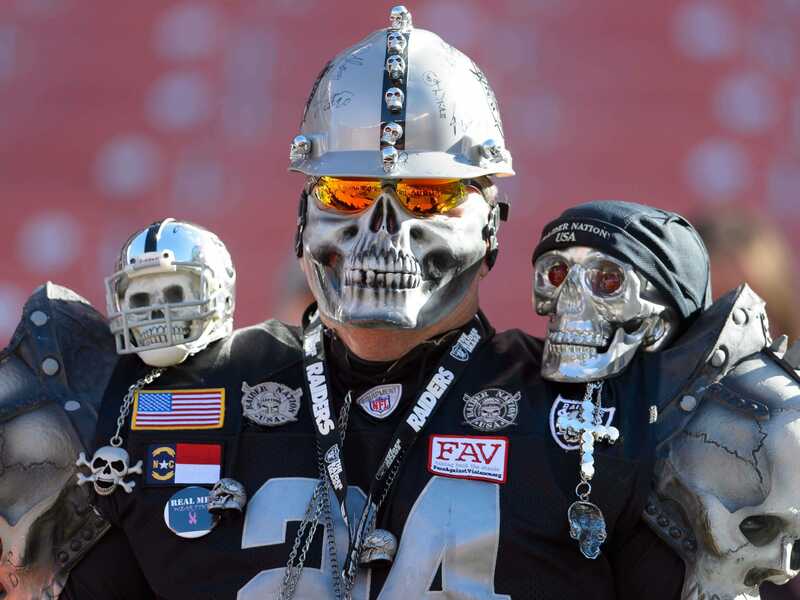 Getty ImagesRaiders fans may not see a single win this season. 10 points is a lot of points for a team that’s just so-so. The Raiders are horrible, but are they that much more horrible than this division opponent? I don’t think so. The Green Bay Packers are 6-point favourites at home against the Philadelphia Eagles. The Eagles demolished the Panthers, but coach Chip Kelly wasn’t happy. 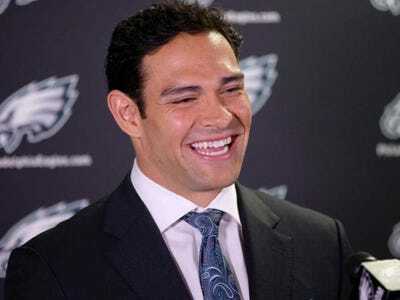 “We didn’t play well offensively at all,” Kelly said.The reason, according to the very talented Sheil Kapadia, is thatthe Eagles failed to get the running game going. The Eagles only ran for 38 yards, which is pathetic. 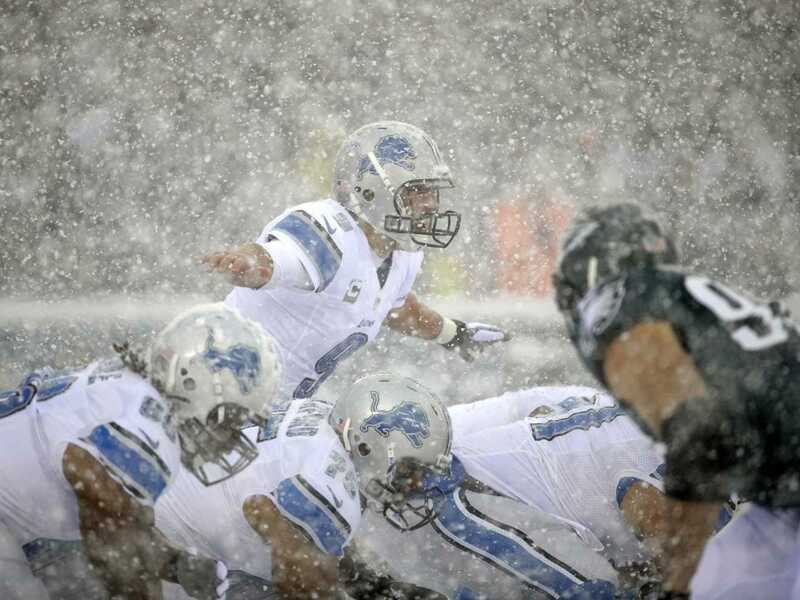 They’re going to have to better against the Packers since it’s going to be cold on Sunday. And besides, I don’t think they can rely entirely on Mark Sanchez. He may be getting godded up in the press, but he’s still shaky. He played well against the Panthers, but he didn’t blow the doors off. And I am a little worried that he’s letting the press go to his head. As for the Packers, they really demolished the Bears on Sunday night. That game was out of control. Any Eagles fan should be really worried about this team. It’s a bad matchup. The Eagles secondary is not good. I expect Jordy Nelson and Aaron Rodgers to light up the Eagles. My gut reaction is that the Packers are going to win by double digits. Vegas seems to agree. The line opened at Packers -3.5, and moved to Packers -6. But, I am going to pick the Eagles. Why? Because they have played really well all season against their biggest opponents. I think they can keep this thing close. I hope I’m right. The Arizona Cardinals are 1.5-point favourites at home against the Detroit Lions. This is another really good game this weekend. These are two of the best, but least respected teams in the NFL. The Cardinals lost QB Carson Palmer for the season with a torn ACL. And yet, people don’t seem all that worried. They think Drew Stanton, who struggled to find a role in the NFL, will be just as good. I am sceptical! 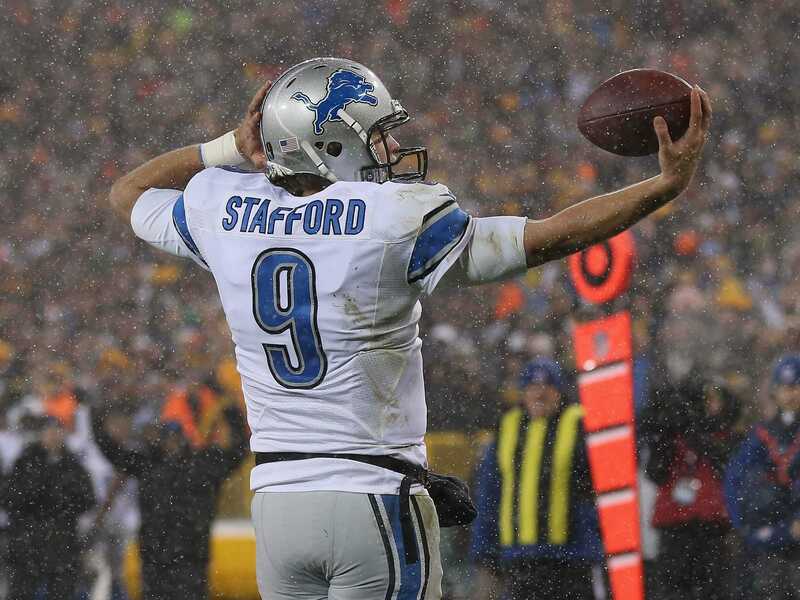 The Lions have boatloads of talent, but have to eek out last second victories on a weekly basis. Their last two games came down to the wire. I think the Lions have more talent than the Cardinals, but I think the Cardinals are better coached. This feels like it’s going to be an important game to the Cardinals who will want to prove they can win without Carson. So… somewhat reluctantly, I roll with the Cards. 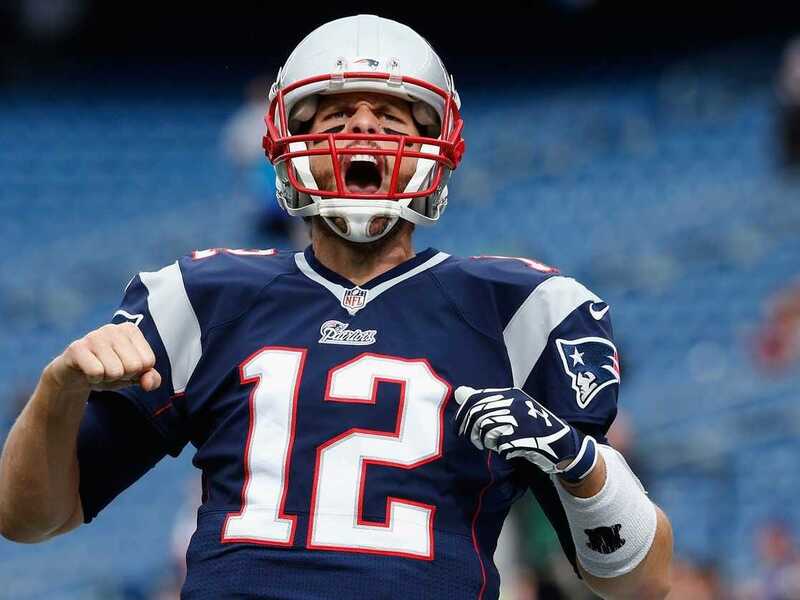 The Indianapolis Colts are 3-point favourites at home against the New England Patriots. Jim Rogash/Getty ImagesTom Brady is on a roll. What is the case for the Colts in this game? They’re home? Andrew Luck is amazing? The Patriots are coming off a bye week. They’re going to want to rip the Colts to shreds. They’re playing better than any other team in the league. The Colts are good but not great. I don’t see them beating the Patriots. I’ll take the points. Thanks.